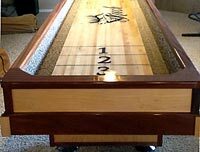 Building a table shuffleboard is a very rewarding project that will provide many years of enjoyment for your family and friends! 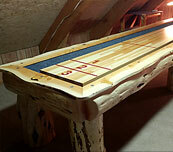 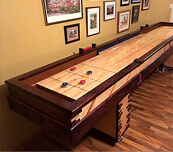 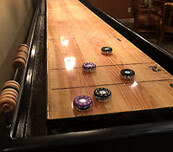 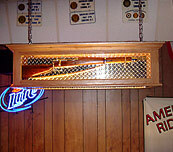 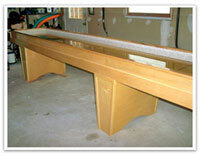 Many shuffleboard builders use their creativity to give their tables an individual, custom look. 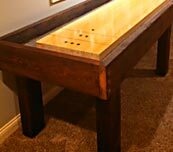 Some of the necessary shuffleboard components such as an abacus, climatic adjusters, leg levelers and plans can be purchased in our store. 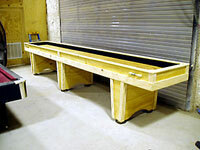 Click Here to see Todd Edelen's Afghanistan shuffleboard project. 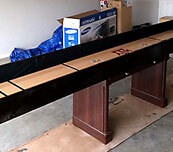 Click Here to see pictures of Kevin Dickinson's project. 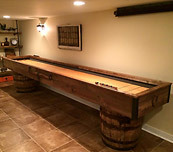 Click here to see Matt Trask's Whiskey Barrel shuffleboard project. 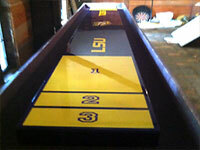 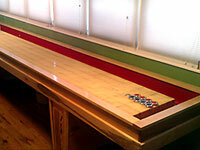 Click here to see Ken Babb's shuffleboard project. 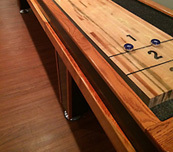 Click here to see Justin Littell's shuffleboard project. 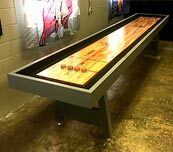 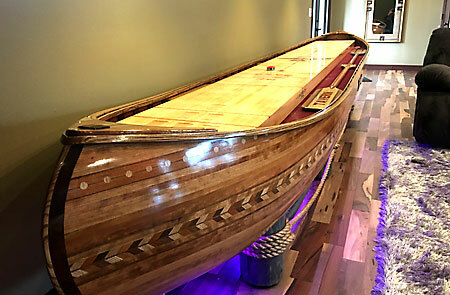 Click here to see Patrick Remfrey's shuffleboard project. 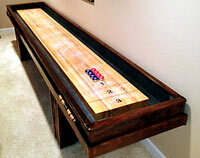 Click here to see Ryan Pieper's shuffleboard project. 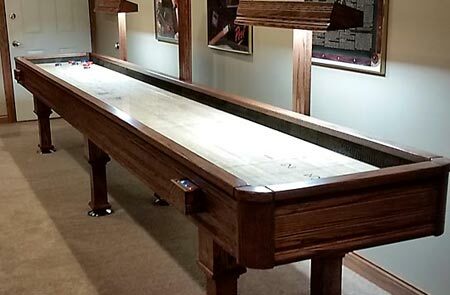 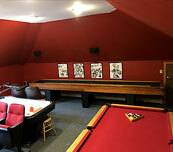 Click here to see Ralph Sloan's shuffleboard projects. 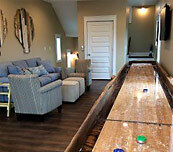 Click here to see "Beach Camp" shuffleboard project. 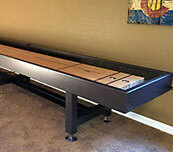 Click here Kyle Apsey's shuffleboard project. 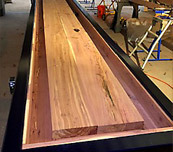 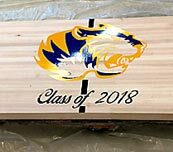 Click here to see Kevin's shuffleboard project. 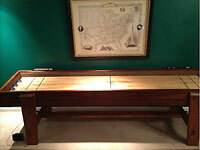 Click here to see Chad Henry's shuffleboard project. 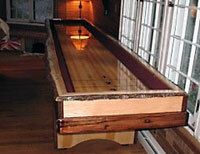 Click here to see Paul Leriche's shuffleboard project. 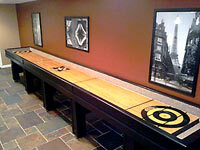 Click here to see Craig Burgess's shuffleboard project. 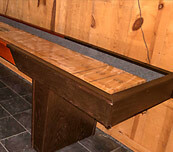 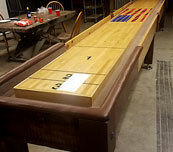 Click here to see Mark Miville's shuffleboard project.